Bentley Motors is recalling ten model year 2018 Bentley Mulsannes. When reverse gear has been selected, the rearview camera display may be obstructed or may not be fully visible within two seconds. If the full camera view is obstructed or delayed and the driver does not check his surroundings before backing up, there may be an increased risk of a crash. Bentley will notify owners, and dealers will reprogram the software in the infotainment system, free of charge. The recall is expected to begin in late September 2018. Owners may contact Bentley customer service at 1-800-777-6923. 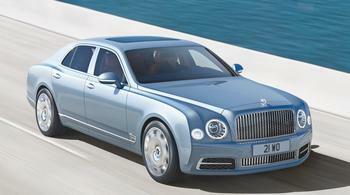 Bentley's number for this recall is RE 18/11.